Beautiful butterfly vector illustrations for your springtime, summer, flight and freedom design themes. 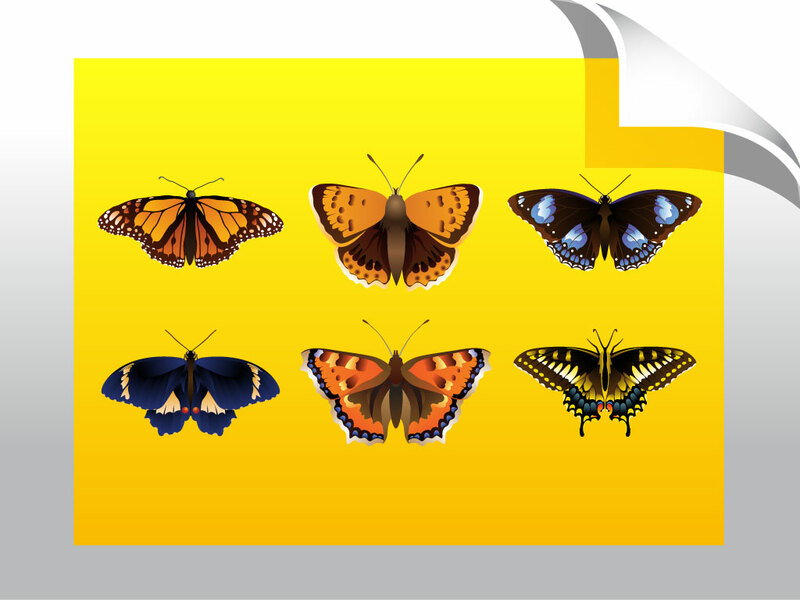 Free vector download with six different detailed and colorful butterflies and moths for your stock collection. The graphics have earthy colors that remind you of autumn leaves. They could easily be used together in one nature themed design. Just copy and paste into a seasonal ad or illustration. Tags: Butterfly, Freedom, Insect, Monarch, Moth Vector, Springtime, Winged, Wings.